AP DEECET 2019 is going to be conducted by the Department of School Education of Government of Andhra Pradesh. It is a state level entrance examination. This exam is conducted annually by the government. It will be conducted for the candidates who wish to get admission in the Diploma in Elementary Education (D.El.Ed) in Government District institutes of Education and Training (D.I.E.Ts) and other Private Elementary Teacher Training Institutions in the state of Andhra Pradesh. Students who wish to appear in the examination need to register themselves for the examination. Candidates can register themselves on the official website through the AP DEECET 2019 application form that has been released. Students can get complete details about AP DEECET 2019 from this page. 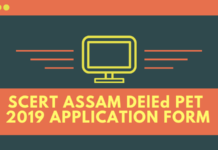 Latest: The AP DEECET 2019 application form is available now. Candidates can visit the “Application page” to fill the same. The registration for AP DEECET 2019 has started. Candidates who wish to get admission in the District DIETs colleges and private teacher training institutions needed to register for the examination to appear in the AP DEECET 2019 entrance examination. Candidates will be granted admission on the basis of their performance in the entrance examination. Candidates can refer to the table below to get a brief idea about the AP DEECET 2019 timeline. The candidates should be of Indian Nationality and should satisfy the Local / Non Local status requirements as laid down in the Andhra Pradesh Educational Institutions (Regulation of admission) Order, 1974 as subsequently amended from time to time for admission into all seats in Government DIETS and un-aided NonMinority and Minority Elementary Teacher Training Institutions. Candidates should have secured a rank in DEECET-2019 conducted for the Academic Year concerned for admission into Government DIETs and Private Elementary Teacher Training Institutions and should satisfy the educational criteria prescribed for the course as shown at (iii) below. For obtaining a DEECET rank, a candidate belonging to “OC” and “BC” communities shall secure minimum 50% marks in DEECET. For Scheduled Caste, Scheduled Tribe and Physically Challenged candidates the minimum qualifying mark for allotment of seats reserved under the respective categories will be 45%. That is to say, candidates belonging to SC and ST communities should secure 50% of marks for consideration against seats under OC/ NCC / CAP /Sports category. The application form for AP DEECET 2019 has been released and available in the online mode on the official website. 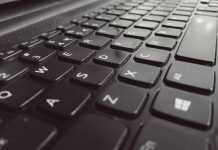 It is mandatory that the candidates register themselves for the examination. Candidates will have to fill and submit the AP DEECET online application form through the official website which is www.apdeecet.apcfss.in Candidates are advised to enter authentic information in their application forms any discrepancies found in the later stages will result in the disqualification of the candidate. Candidates are advised to keep ready a scanned copy of their recent photo and signature ready while applying for the examination. Application Form Fee: The candidate has to pay the 500/- amount of the application fee through payment Gateway for submission of application through Online. 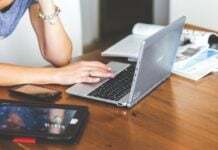 The admit card for AP DEECET 2019 will be issued online. Candidates who will successfully submit their duly filled application forms before the last scheduled date will be able to download their admit cards from the official website. Candidates will be able to download their admit cards by entering their date of birth and their application number. It is compulsory that candidates carry their admit cards on the day of examination or else they will not be allowed to appear in the examination. The admit card contains all important details about the exam and the candidates. AP DEECET 2019 exam is an objective type exam. Candidates will be asked 100 MCQ questions. The question paper will be divided into two parts i.e. Part-A and Part-B. Part-A will be of 60 marks whereas Part-B will be of 40 marks. Maths: Those who studied Mathematics as a subject at the Intermediate level. Physical Science: Those who studied Physics and Chemistry as their Intermediate Subjects. Biological Science: Those who studied Botany, Zoology as their Intermediate Subjects. Social Studies: Those who studied two subjects out of Five Subjects viz., Civics, Economics, History, Geography, Commerce. The admissions shall be made through a Single Window System in the order of merit on the basis of rank assigned in DEECET and to the extent of sanctioned seats through Web-Based Admission service provided by the Convener DEECET or Convener DEECET AC as the case may be. Official Website: www.apdeecet.apcfss.in or www.cse.ap.gov.in. For more details regarding AP DEECET 2019, download Information Brochure | Admission Notification.